You can now easily auto-assign the payment to multiple receipts. Earlier you had to assign the receipts individually which now has an extension of multiple receipt postings too from the city ledger of the POS eZee BurrP!. When any indents were dismissed, you weren’t aware of that as you didn’t get any notification. To keep you aware and updated the system has been enhanced so that you receive Dismissal Notification in Forward Indent store of the POS system as and when any Received Indent is dismissed by your restaurant staff. You can set different colors for myriad menu items easily using the option of Set Colors for menu items in the POS system. 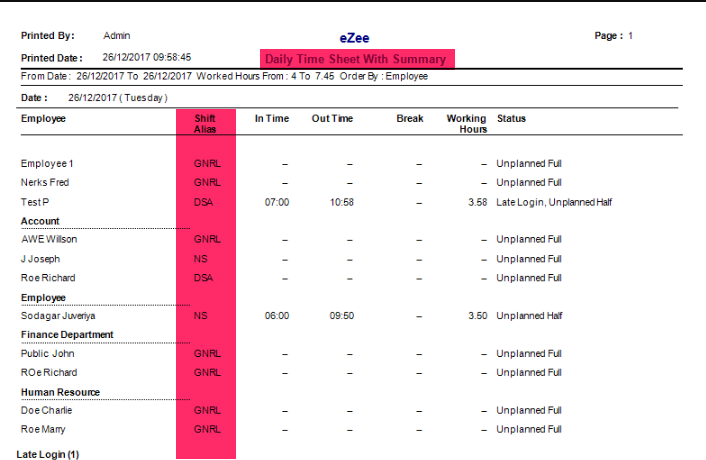 You will notice that the Shift Report ‘Summary’ is replaced with ‘Daily Time Sheet’ in the POS system. You can now easily get the consolidated Kitchen-Order-Ticket from captain printers. This enhancement will simplify your task of printing right from the captain printers connected to POS eZee BurrP! 3.Receipt wise tax Detail report. POS will synchronize only unit prices once menu prices have been modified from existing menu items in form HO and synchronized outlet. 1. Modifier groups name, modifier items name, and KOT printer name from HO. 2. Will synchronize the modifier name along with printing on receipt and KOT. 3. Will allow to list out the items in alphanumeric order or only the newly created items. 4. Allows you to select for synchronizing required setting/details for newly created items. 5. Allow synchronizing void items, KOTs, and receipts from the outlet to HO. From 6.1.209.5 version as and when any SQL version is installed, then the system will automatically update the files during the Service pack update so that the backup will be taken smoothly. Whenever you update eZee Sync now, it will not synchronize the BOM of the menu item when menu item rates are updated and synchronized. We’ve successfully Integrated Q-city with eZee Burrp. We’ve successfully integrated Fiscal trust printer with eZee Burrp and eZee Absolute. Take the latest backup of the database from the server machine. After installing the Service Pack on a server machine, execute any eZee application on the server machine to reflect the version update. Note: please contact eZee Support to get download link of Service Pack. We always keep our solutions up-to-date as per ever-changing industry demands. If you face any trouble using eZee Solutions, you can report it on a link given below.